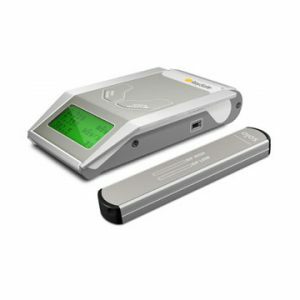 The ESA615 Electrical Safety Analyzer brings fast and simple automated testing in the form of a portable analyzer to healthcare technology management professionals that perform electrical safety testing on medical equipment both in the field and in facilities. 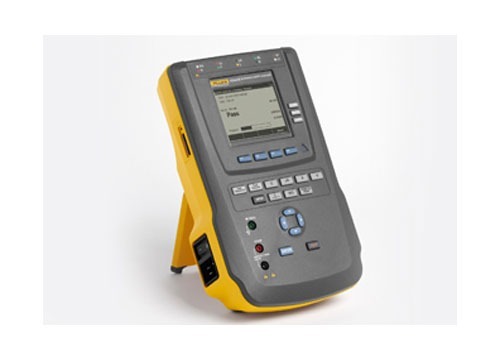 The ESA615 brings fast and simple automated testing to a portable analyzer. For healthcare technology management professionals that perform electrical safety testing on medical equipment both in the field and in facilities. 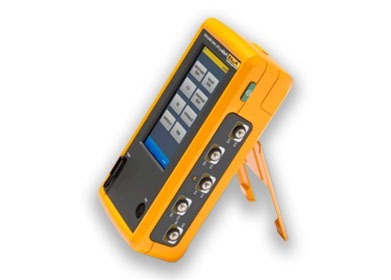 Whether it is simple testing or comprehensive analysis, the ESA615 can do it all. 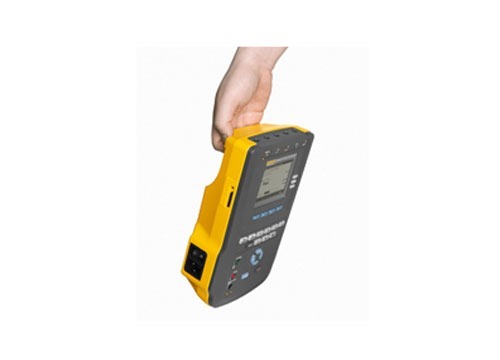 This multifaceted device performs all primary electrical safety tests, including line (mains) voltage, ground wire (protective earth) resistance, insulation resistance, device current, and lead (patient) leakage tests. 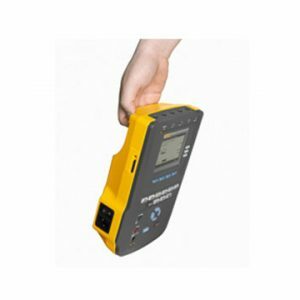 It also offers ECG simulation and point–to-point voltage, leakage, and resistance tests. Versatile to global electrical safety standards of choice, ESA615 tests to ANSI/AMI ES-1, NFPA-99, IEC62353, VDE751, IEC60601-1 (2nd and 3rd editions) and AN/NZS 355. 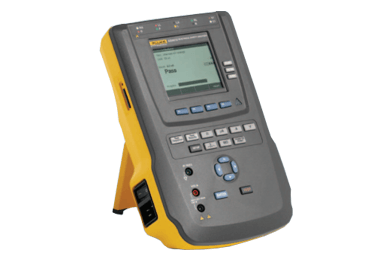 The ESA615 is an all-in-one solution with a multimeter, safety analyzer and ECG simulator in a single test instrument. Initiate the automated test sequence. 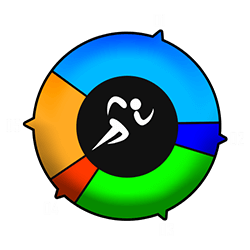 Store the results on-board or wirelessly export to your PC in seconds. It is that easy. 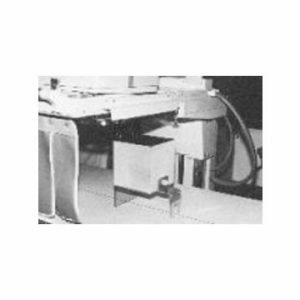 The automated test sequences are easily customized to suit individual testing requirements. 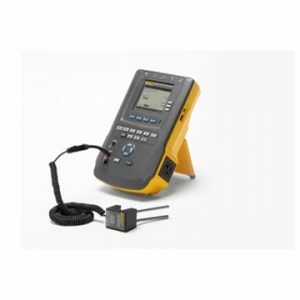 Portable: The ESA615 is a small, lightweight analyzer with an integrated handle to carry from place to place for on-the-go field service. It is designed for operation in tight spaces, and is easy to fit on any cart. A light, protective carrying case makes it easy to store and transport. 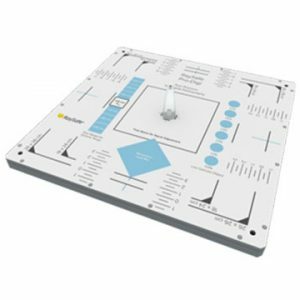 Simple: A push-button interface allows quick access to highly-comprehensive functions and features, and an intuitive interface guides the user through tests. 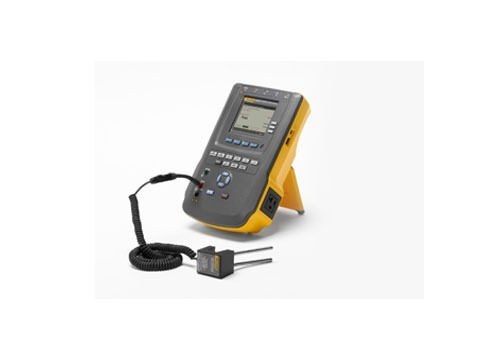 The ESA615 features a large display for clear indication of available functions, set-up criteria, device under test receptacle conditions, and test results. 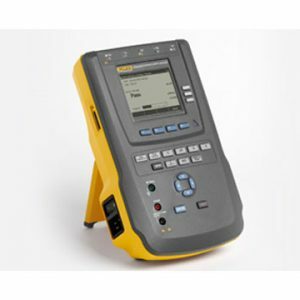 Data can be entered quickly with a plug–and-play keyboard, barcode scanner and/or on-board data entry interface. Data archival is fast and simple with wireless communication or through a removable memory card with capacity for up to 100 automated test sequences and 1000 test results. 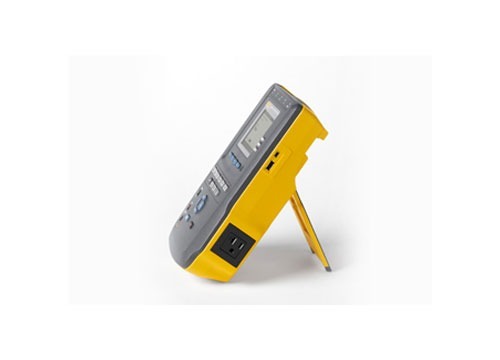 Read the ESA615 Electrical Safety Analyser Data Sheet. Optional Ansur automation software completely integrates medical device testing including electrical safety, visual inspection and other performance parameters for total digital data management. Tethers with other Ansur-automated test devices for harmonized workflow and reporting. nominal mains as per 62353. 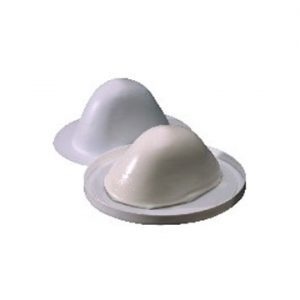 Therefore, the accuracy specified for other leakages is not applicable. Used to adapt a 20 Amp power cord so it will plug into a 15 Amp receptacle. 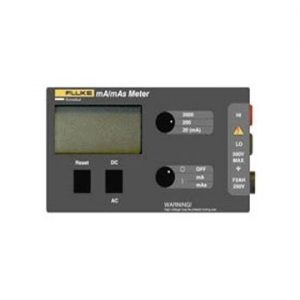 The Digital mA/mAs Meter operates with one, easily replaceable 9 volt alkaline battery, facilitating convenience and portability. 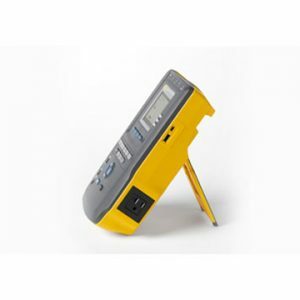 Get all the benefits of state-of the-art features in a compact, hand held unit. 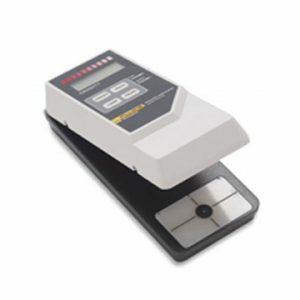 Become a “speed reader with this accurate, rugged portable Clamshell Densitometer. By using the Model 07-649 CDRH Fluoroscopic Phantom, doses at fluoroscopy can be reduced, and fluoroscopic image quality can be improved. 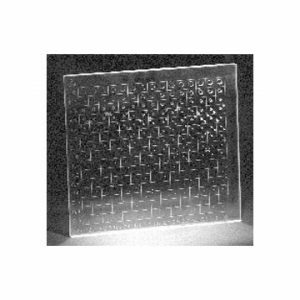 The CDRAD Phantom from Nuclear Associates is an excellent tool for evaluating the imaging characteristics of digital radiographic systems, including stimulable phosphor computed radiography systems and teleradiography systems.